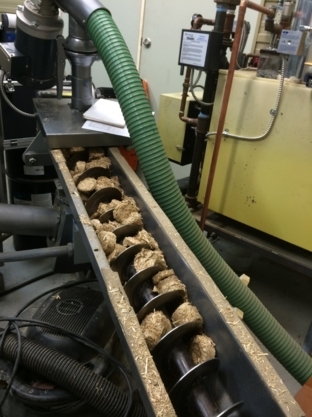 Vermonters have figured out a way to turn waste into energy, and Woodchuck Hard Cider is lucky enough to reap the benefits of it! Great Coffee with Notes of Efficiency: Keurig Saving $725K Annually! Ultra efficient technology and buildings at Keurig Green Mountain means a mountain of green for the company! The coffee company was able to save thousands through innovative design and technology, including efficient lighting and heat exchangers. Even the roasting machines are highly efficient! Small changes can sometimes result in big rewards. The town of Hartford took on their streetlights as a first step to efficiency- saving around $64,000 in energy bills each year! 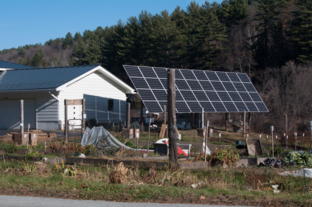 Montpelier Homeowners Go Fossil Fuel Free! When Chris and Sheryl bought their Montpelier home in 2013, their goals were to live somewhere walkable to town, be able to work from home, and to re-use existing housing stock instead of building new. After extensive renovations to house their business in their home, they have now eliminated all fossil fuels from their home and produce 75% of the electricity they need for their home, business and vehicle through on-site photovoltaic panels. When the Hierl-Heath family bought their house on Deerfield Drive in Montpelier in 2011, they spent more than $3,000 on fuel oil their first winter in the house. In the past 3 years they have switched primarily to wood heat, installed photovoltaic panels on their roof to produce electricity, and lowered their energy costs significantly while nearly eliminating their fossil fuel use. 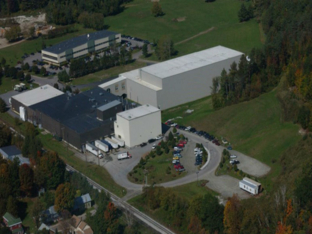 After using submetering to investigate power use, Efficiency Vermont found that Husky Molding Systems of Milton, Vermont could save around $200,000 annually by adjusting the optimal levels of pressure and power, and shutting off idle machinery. After all, saving money and power is a great investment for the company— and the planet! 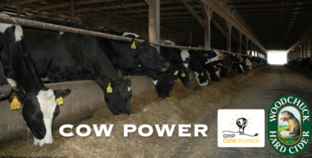 McKnight Farm, an organic dairy that milks more than 200 cows and sells beef, requires a lot of electricity to make compressors, refrigeration, water pumping, and ventilation systems work. 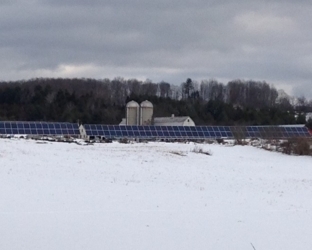 To eliminate this significant recurring expense, owner Seth Gardner invested in a solar photovoltaic project that would meet all of his farm’s electricity needs. Bennington’s water filtration plant services 16,000 Vermont residents and processes approximately 2 million gallons of water a day from Bolles Brook. 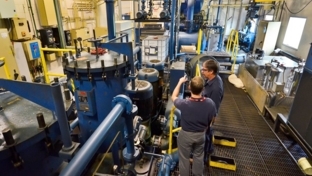 A municipality’s water treatment costs can account for up to 35% of its budget. 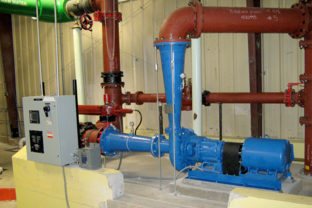 That’s why Terry Morse, Bennington’sWater Resource Superintendent, decided that the town’s water filtration plant should harness the power of the falling water, already constantly entering the facility, to help offset the plant’s electricity costs. The plant could do this by installing a hydropower turbine inside the facility at the point where the water enters the facility.